Almost everywhere management looks, they can potentially leverage data to improve the quality of airport services. The integration of open data can lead to reduced queuing times getting both into the airport and to the terminal gate. A better use of information can facilitate the real-time flow prediction of aircraft, passengers and supplies. Machine learning can be a key to optimizing processes through a deeper understanding of customers, staff deployment, and resource allocation. 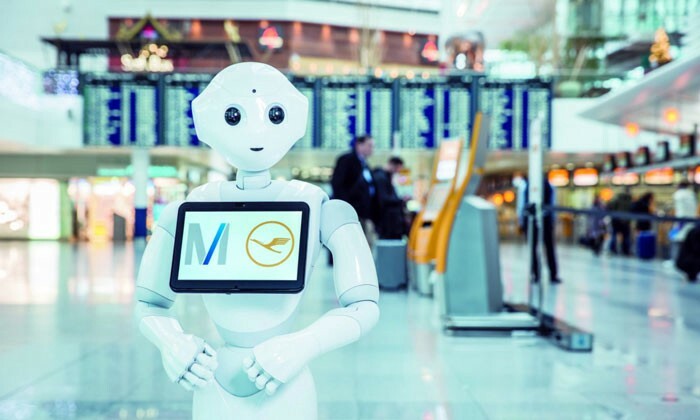 Artificial intelligence can be a source of revenue opportunities as airports are evolving from terminals to multi-modal business and leisure centers. What are the critical success factors in applying profitably Big Data and Artificial Intelligence to airport management? Big Data methodologies address five challenges to improve airport processes. The Volume airport management data, traditionally modest compared to other industries, is now growing exponentially due to safety and regulatory constraints. The Variety of data is becoming a real challenge as Data Science teams look to better understand movements of aircraft, resources, and people. The Velocity of data is also becoming a pressing concern as automated airside operations become reality. The Veracity of the data is now a critical success factor as management teams struggle to understand the significance of real-time data, data science, and predictive analytics. Finally, the Value of the data is directly linked to the applications that improve the individual and collective experience of air travel. The business value of AI is linked to its potential both to lower the costs of prediction in business and reducing the variability in operational processes. Applications of AI have already demonstrated their value in automating planning, organizing and budgeting. In the very near future, airport management will be focusing on defining and evaluating the direction and adoption rate of AI to optimize teams of pro-active employees and predictive AI agents. As airports are evolving from terminals to multi-modal service centers, managers need to think today about what the airport might one day be and ask themselves to what point AI experiments can confirm such visions. Unfortunately, the flight path from here to there isn’t clearly traced. Most airports today are far from AI-ready organizations. Airports aren’t coherent organizations in the traditional sense, but complex adaptive systems that house multiple businesses with competing logics, networks and objectives. The “airport” plays host not only to the airline manufacturers, operators, regulators, but to the retail, dining, leisure and entertainment entities that share the airport space. These businesses may react quite differently to economic cycles, political and environment pressures, social demographics and technological innovation. There are few common processes, no single point of control, and no “one best way” of creating a world class airport. Leveraging data, or developing applications of AI, must account for the reality of what airports are today, and what they are likely to become tomorrow. In such a context process mining may prove one of the most useful applications of Data Science. Process mining is a family of techniques in the field of process management that support the analysis of business processes based the data trails left by different airport technologies. Rather than try to develop better models of how the airport should operate, process mining attempts to reconcile operational processes with how the different customers, agents and managers interact. The objective of this “flipped” process model is to learn from experience rather than from expertise. Although the first experiments in this area have focused mostly on baggage handling and queue management, one can expect that process mining techniques will produce dividends in addressing many of the challenges currently facing airport authorities. The end game of artificial intelligence isn’t to make machines smarter, but to help managers take better decisions in the context of their organizations. Managerial decision-making isn’t based on the data, but on perceptions of the data inherently tainted by empathy, intuition, imagination, and emotion. In the complexity of an airport, management negotiates joint decisions made by operational partners based on the available data. If machine learning is designed to highlight similarities in datasets, management will to continue focus on the significance of the exceptions (outliers) in operational processes. In the foreseeable future, as in the past, managerial performance won’t be evaluated on what he or she does with the data behind a computer, but rather what they are able with the information in front of their colleagues and customers.